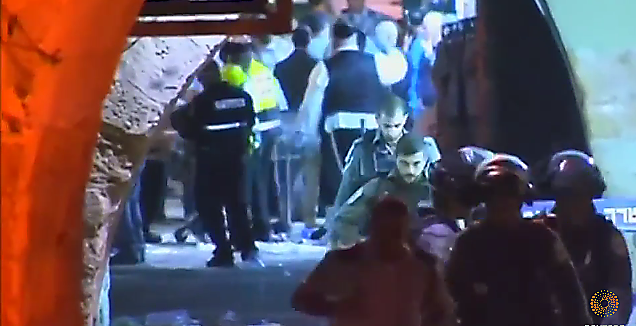 The recent wave of Palestinian terror attacks against Jews and Israelis is largely due to a pattern of extreme radicalization that has taken place in eastern Jerusalem over the past twenty years, a recently retired former Shin Bet official told The Tower. Yemeni pointed out that the traditional patriarchal power structure is respected in almost all daily circumstances in Palestinian society, with the important exception of fighting Israel. “When Palestinian youth attack Israelis with rocks, fire-bombs, knifes, etc., it is harder for the community leaders and fathers to take control of the actions and condemn the perpetrators, since it makes them look as collaborators with Israel and weakens their own internal power within their communities,” he said. When asked what inspires Palestinians to commit “lone wolf” terror attacks, Yemini explained that such attacks “are an easy way for Palestinians to ‘blow steam’ with no consequences from their own society since attacks against Israel are glorified in Palestinian society. It can result from anger at work, a family problem, a romantic issue or anything else that comes to mind. When the anger is directed towards hurting Israelis and not against Palestinians there is no accountability—add to this extreme incitement over the years with PA monthly payments to jailed terrorists and their families and you get a good recipe for lone wolf attacks. In places where the power base of Fatah and Hamas is strong, cooperating with the municipality will result in “shaming” of these leaders by distribution and hanging of leaflets which blame an individual with normalizing with Israel and accepting its sovereignty. If they decide to still go along and cooperate with the municipality, then many times the result would be physically assaulting municipality officials who enter the neighborhood and evidence of this is very easy to find.